The archetype is prepared for the MySQL database. 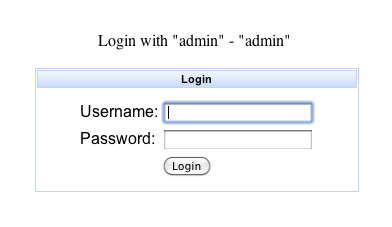 The created project is a very simple web-application with a login mask and three xhtml-sites. I have tested the app on a tomcat 6.0.20 and Java 1.6 on Mac OS X Snow Leopard. After the creation the app is running with the HypersoniceSQL DBMS. But it is very easy to switch to MySQL or Oracle. I put the drivers for MySQL and Oracle as a comment in the pom.xml. So you just need to comment int the right lines in the pom.xml.